Detailing the physical features, habits, territorial reach and other identifying qualities of the Cat-Faced Spider. 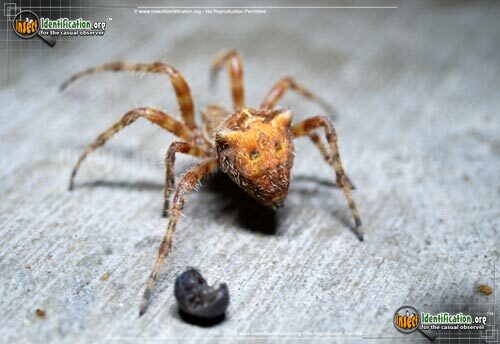 The Cat-Faced Spider is every gardener's friend, keeping watch over plants and consuming loads of pest insects. 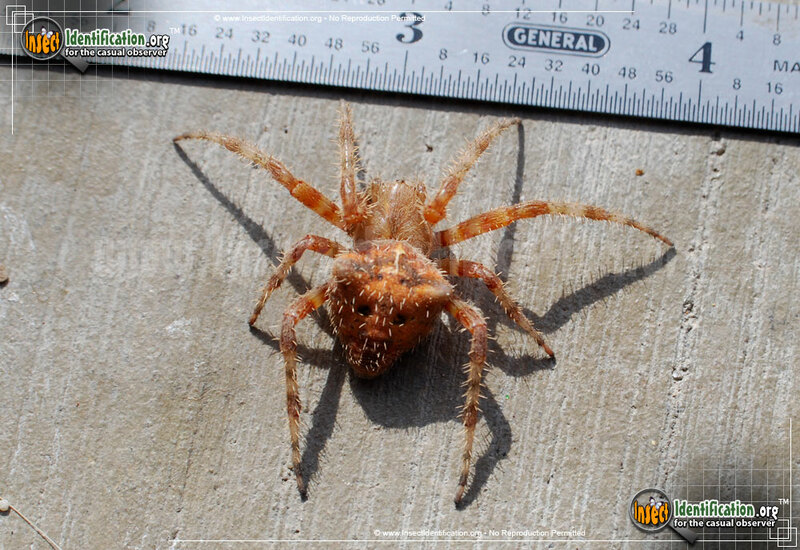 The Cat-Faced Spider is a common name shared by this species and second North American spider. Its other common name, Jewel Spider is also shared with an Australian spider. This name duplication illustrates the usefulness of using scientific names when addressing the identity of living things, which prompts gratitude for the work of Carl Linnaeus, the father of scientific nomenclature. 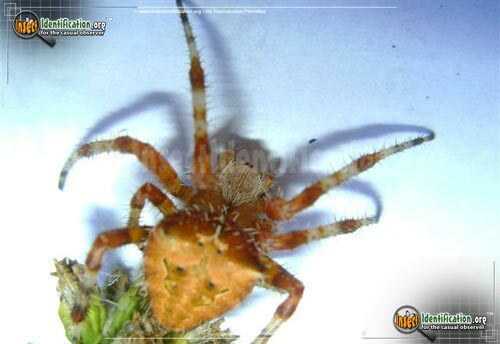 This harmless spider is an angulate spider, meaning it has two pronounced bumps at the top of its abdomen. The 'cat face' on the abdomen is created by these bumps, which form cat ears, and the pattern in the center of the abdomen, which forms the facial features. 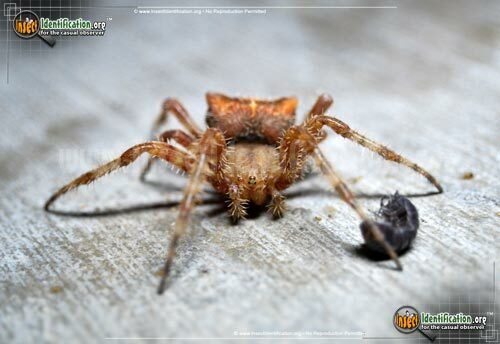 This face is usually up-side-down in the garden because this spider prefers to sit with its head toward the ground. The individual spider may vary in color. Some are pale; others are a rich, tawny brown. 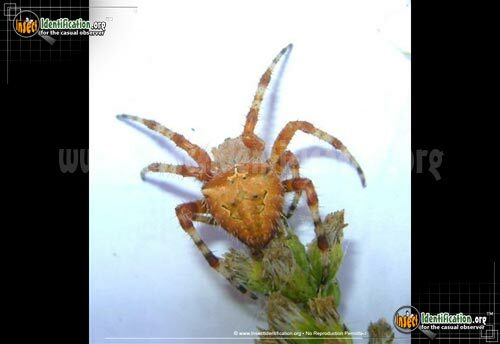 Usually, a large female is found hiding in plant leaves or debris off to the side of the web, waiting to sense a tremor on the lines of her web. Males are smaller. 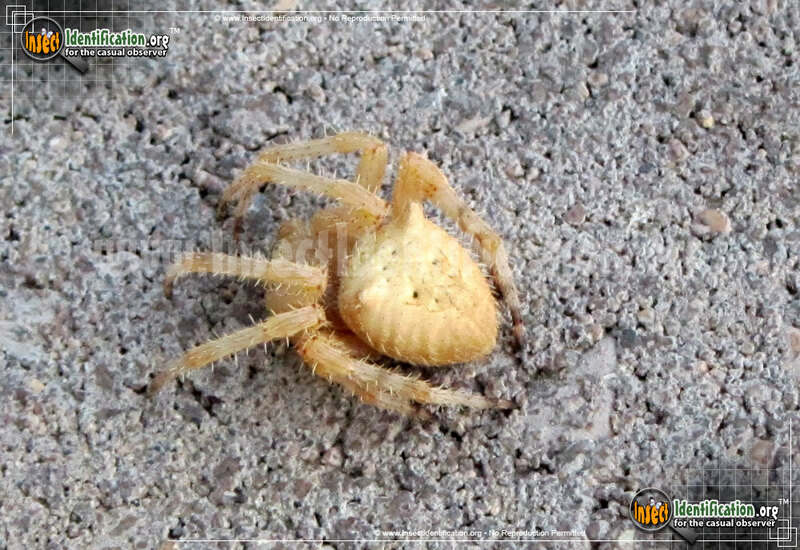 A female will create an egg sac that holds about a hundred fertilized eggs in it. This egg sac will overwinter and in the spring, the spiderlings emerge and disperse using silk lines to help carry them away to new homes.